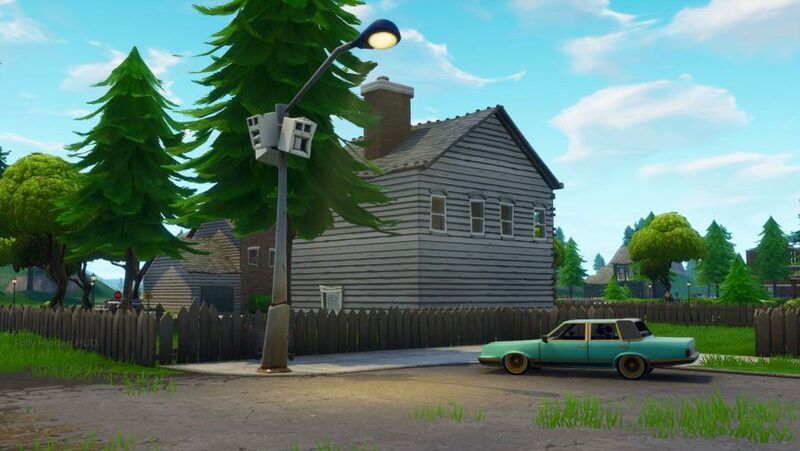 Where are the Fortnite Streetlight Spotlights locations? That’s a question many keen battle royale fans will be asking as Fortnite season 6 kicks off. There might be a host of new exciting changes, but veteran challenge hunters now have another two weeks of tasks to burn through to unlock myriad cosmetic loot. One of the new challenges asks you to dance under different Streetlight Spotlights – seven of them, to be precise. Fortnite players will no doubt have worn their dancing shoes out already with party-based activities appearing plenty of times before in previous seasons, but we’re here to help you with a guide to all Fortnite Streetlight Spotlights locations. Since we’re back to the beginning of the Battle Pass, we’re tackling Fortnite week 1 challenges this time. 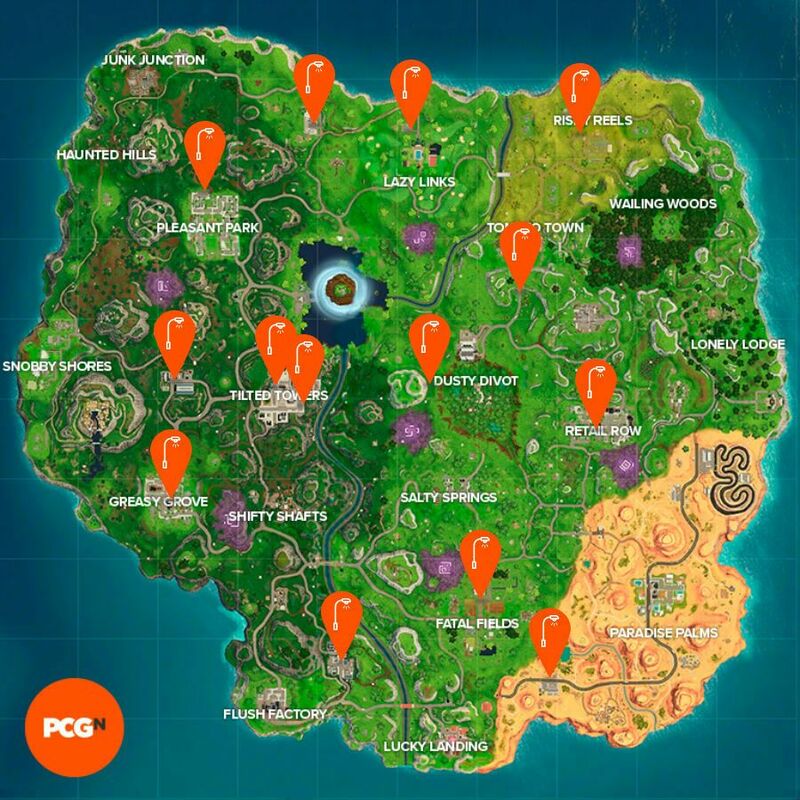 Once you’re all done you can find the Fortnite Hunting Party week 1 location for another Battle Pass tier. For more on all the changes to Epic’s famous battle royale game, check out the Fortnite patch notes 6.0 and the Fortnite season 6 map changes, but, for now, here’s a guide to all Fortnite Streetlight Spotlights locations. 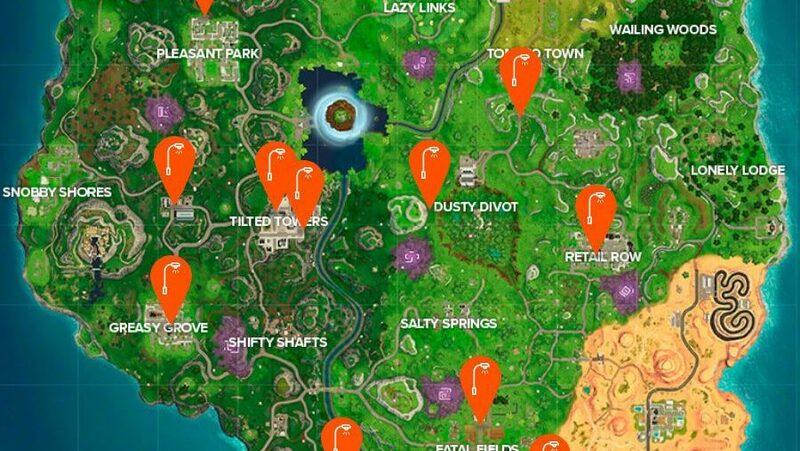 We’ve successfully found all Fortnite Streetlight Spotlights locations you need, and above you’ll find a video and a map to show you precisely the spots you need to visit.